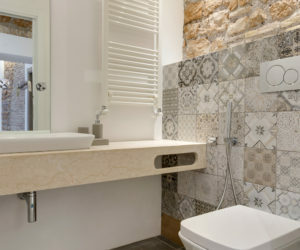 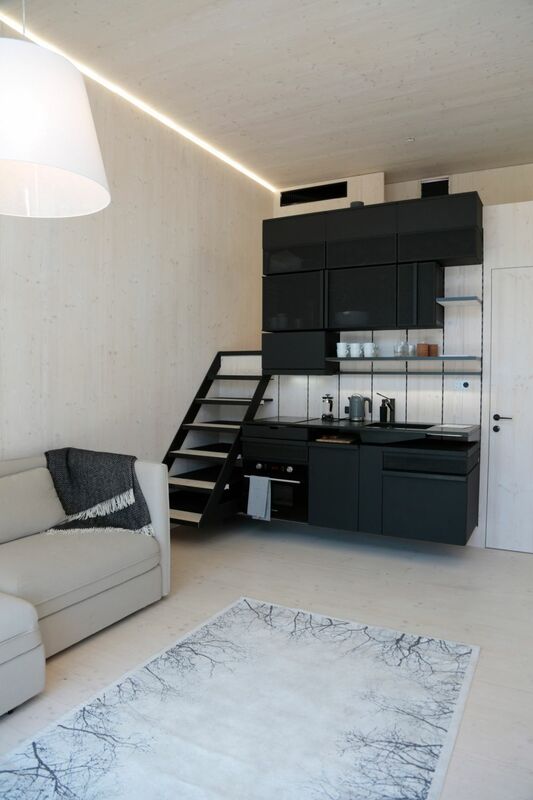 Living in a micro house, whether by need or by choice takes determination, guts, character and of course the skills to plan and design a micro house that actually makes sense and that makes the most of its tiny footprint. 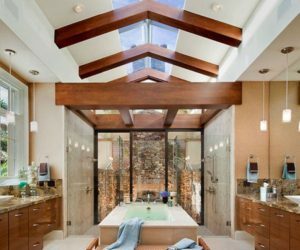 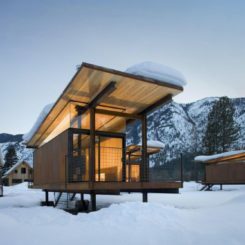 There are quite a few projects to take inspiration from, a lot of them being prefabricated structures and the rest being custom homes with unique designs. 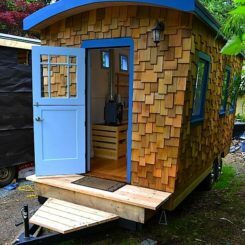 The following examples reveal just how much you can actually fit in a tiny house if you really put your mind to it. 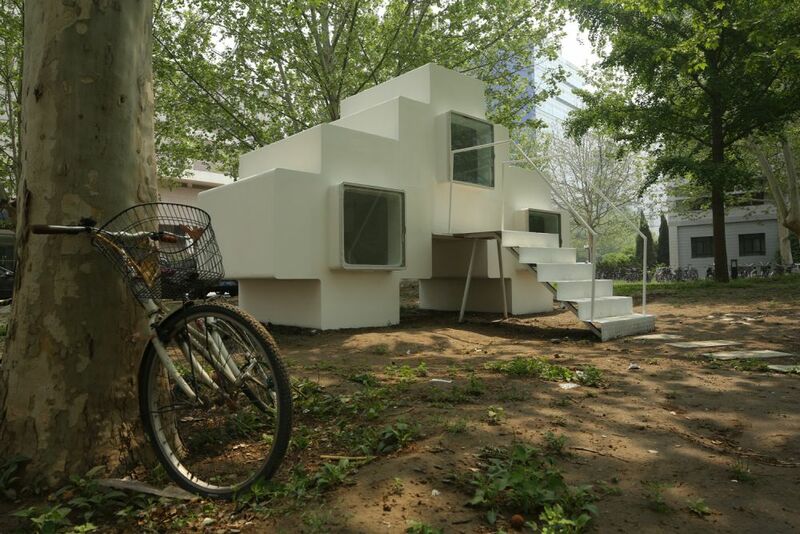 Can you even imagine how it would be like to live in a house that’s only 4 meters wide? 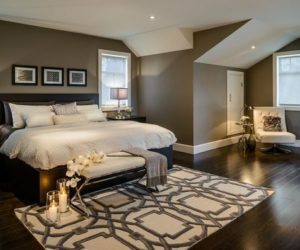 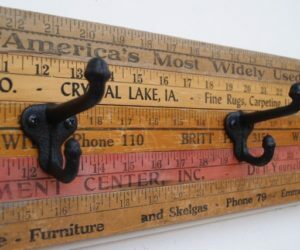 Most typical rooms are bigger than that. 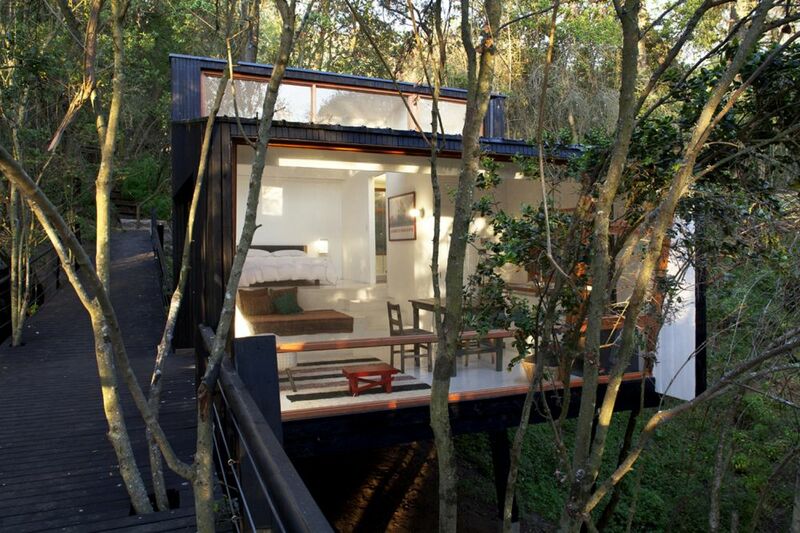 Yet that doesn’t stop this narrow house from being amazing. 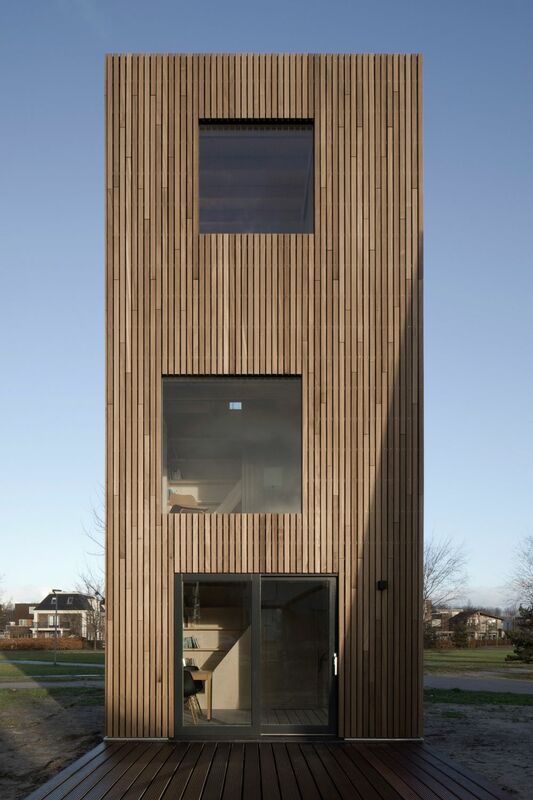 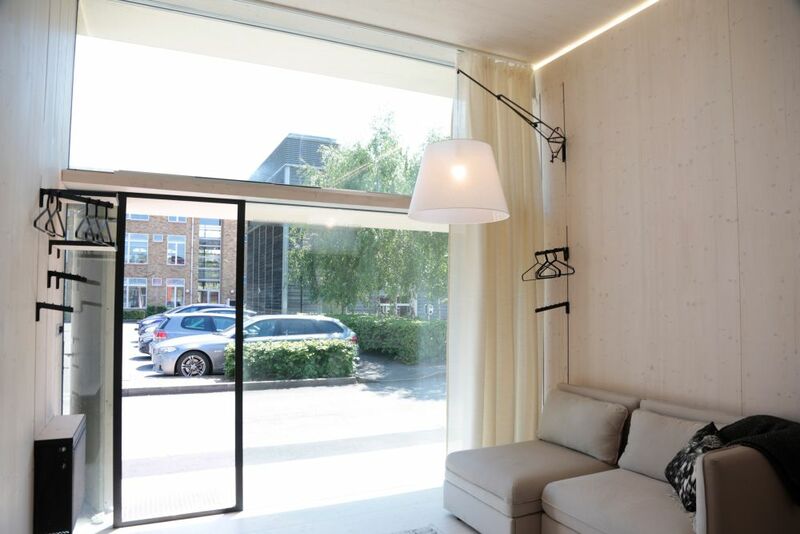 It was designed by Ana Rocha Architecture and it’s located in Almere Poort, in The Netherlands. 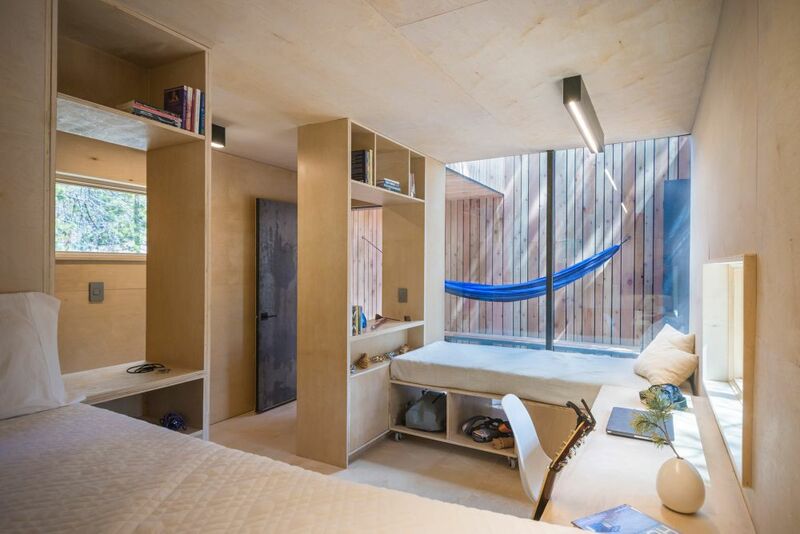 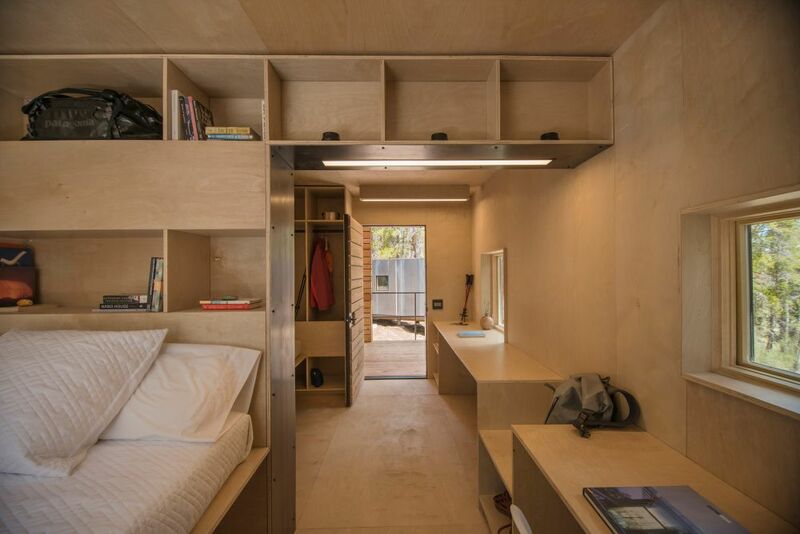 The entire frame was built in just two days and inside there’s a total of 50 square meters of living space organized on three floors with a footprint of just 16 square meters. 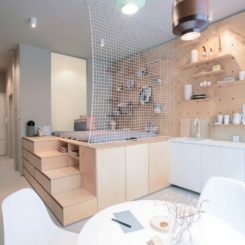 The house is called Slim Fit and was designed to take up as little space as possible, featuring a hardwood facade and interior walls lined in birch panels for a warm and cozy vibe. 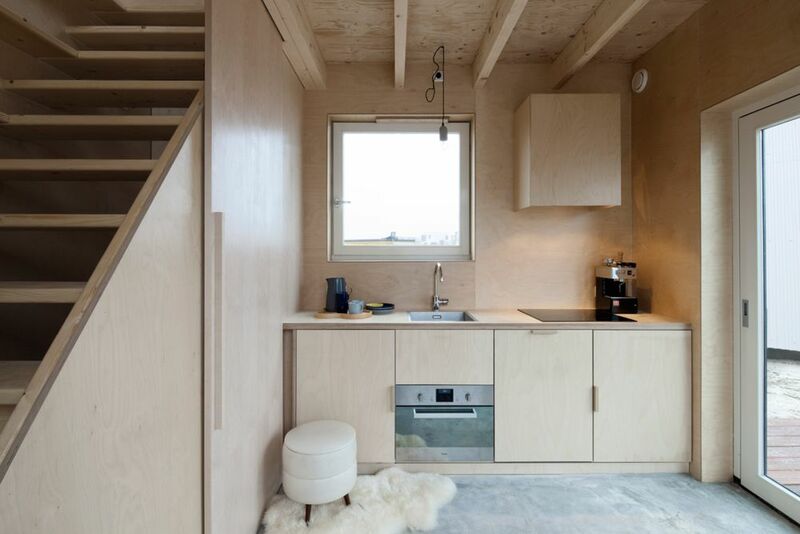 The Koda house is a tiny prefab cabin, a micro house designed by studio Kodasema is response to the housing crisis which has been happening in the UK over the last few years. 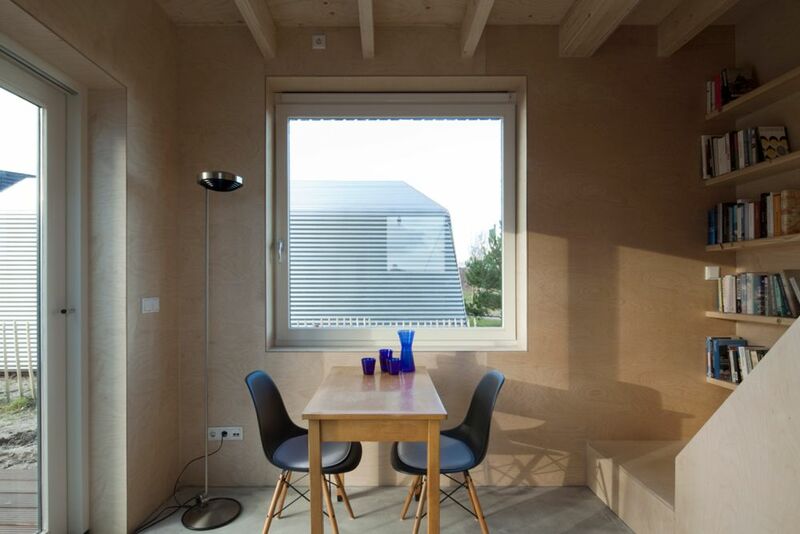 The house has a footprint of 25 square meters and doesn’t require a foundation. 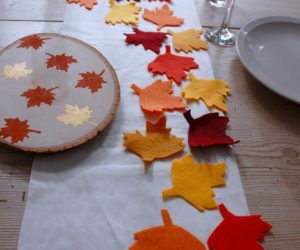 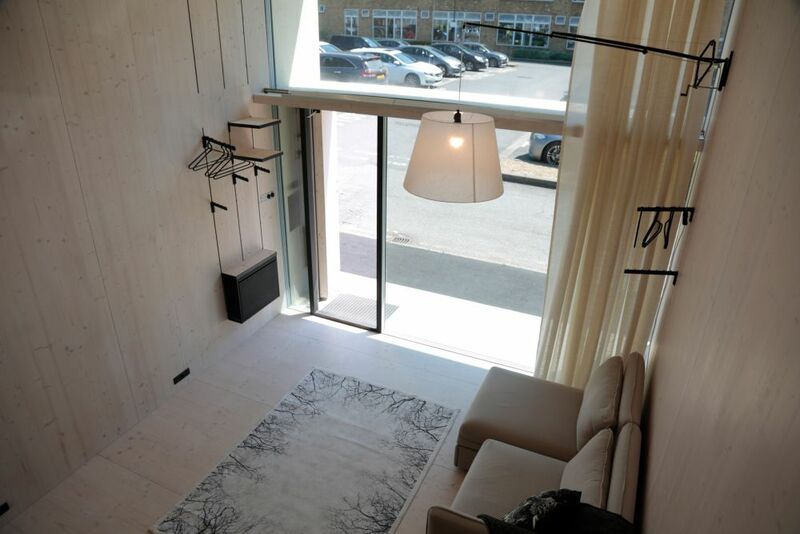 Also, it can be easily relocated, allowing owners to take advantage of empty plots, new locations and new opportunities. 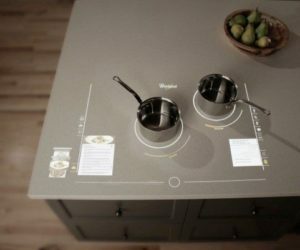 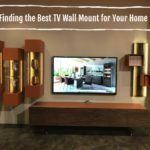 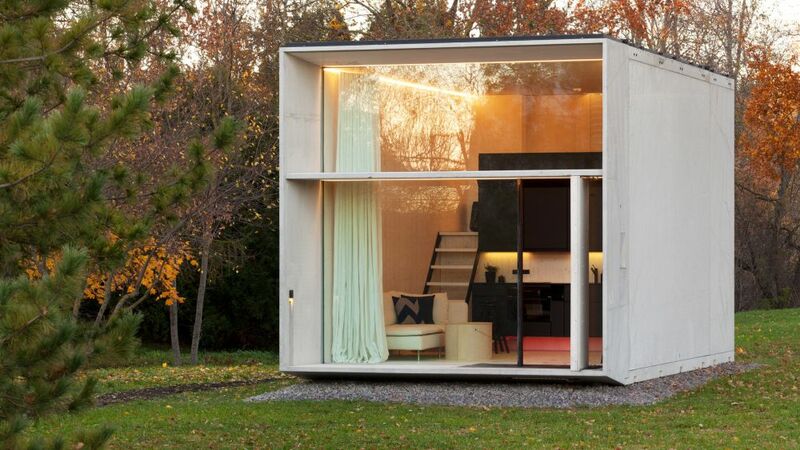 It takes less than a day to install one of these micro houses which makes them that much more convenient. 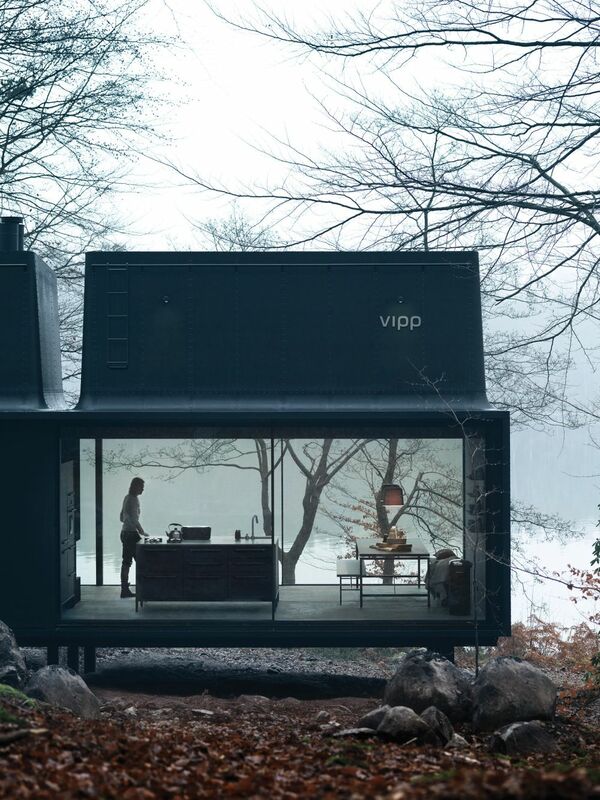 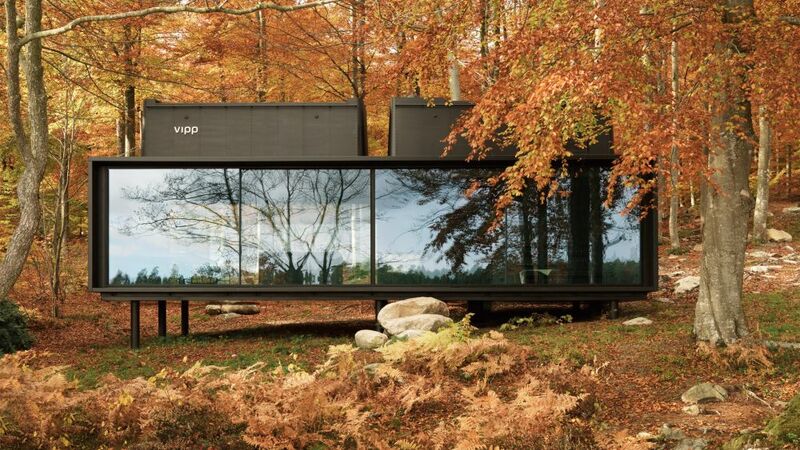 Vipp‘s prefab structures are known for their quality, looks and ingenious designs. 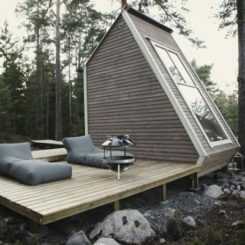 The Vipp Shelter, for example, is a micro house packed with all sorts of cool features including sleeping lofts with skylights which fit in these odd-looking roof protrusions. 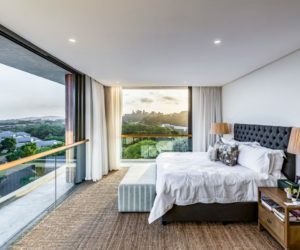 There are also full-height sliding glass doors and floor-to-ceiling windows which let in natural light and bring the indoor and outdoor spaces closer together. 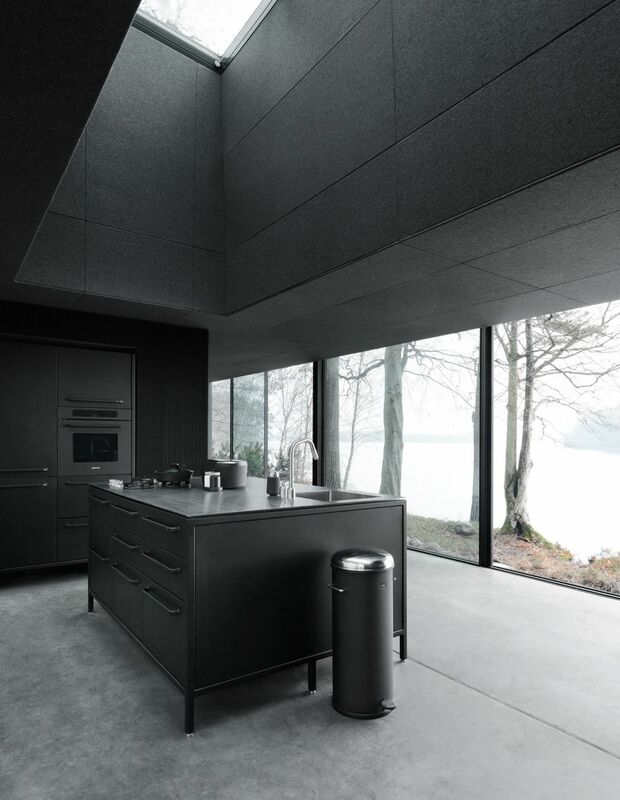 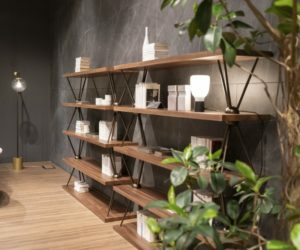 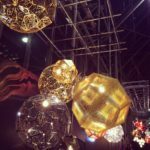 These cool structures are also recognizable by their matte black exteriors, box-like shapes and, of course, the stylish interior designs customized with the company’s own furnishings and accessories. 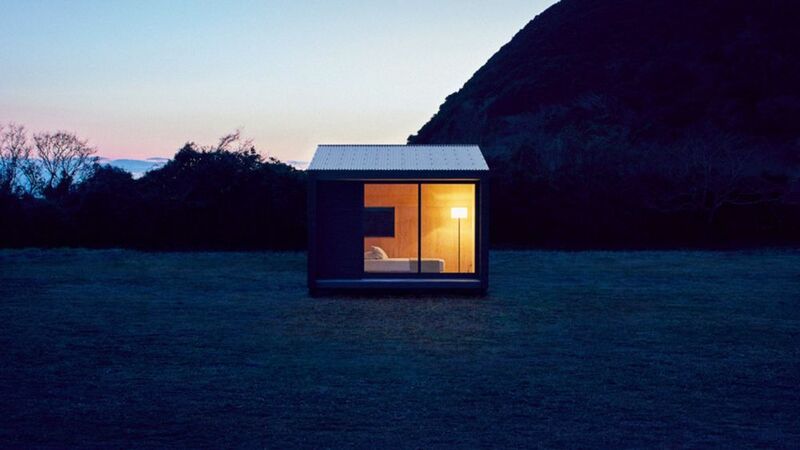 The micro house designed by Muji is sort of an in-between option for those seeking to own a holiday home but also enjoy the flexibility and casualness of camping trips and other such adventures give. 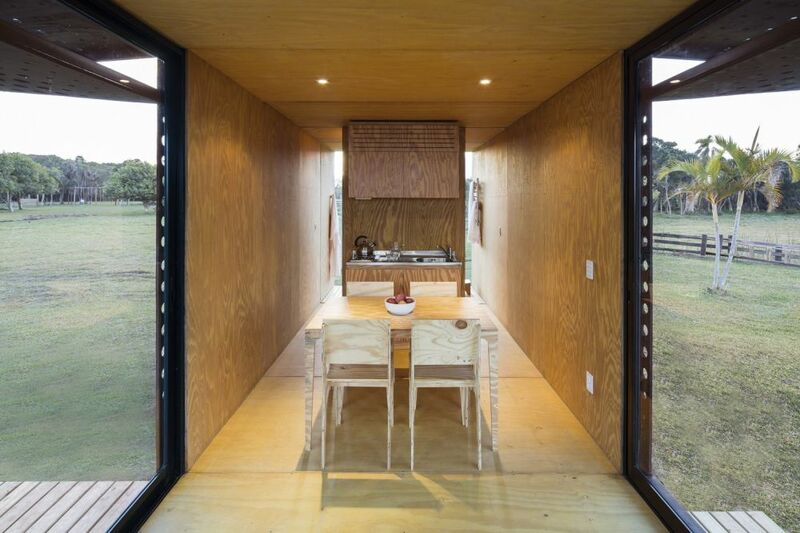 This compact prefab house only has a 9 square meter footprint but even so, it’s surprisingly airy and bright inside. 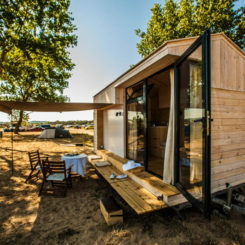 The fact that it’s so small means it can be easily transported to different locations so you can take advantage of beautiful views and exciting adventures. 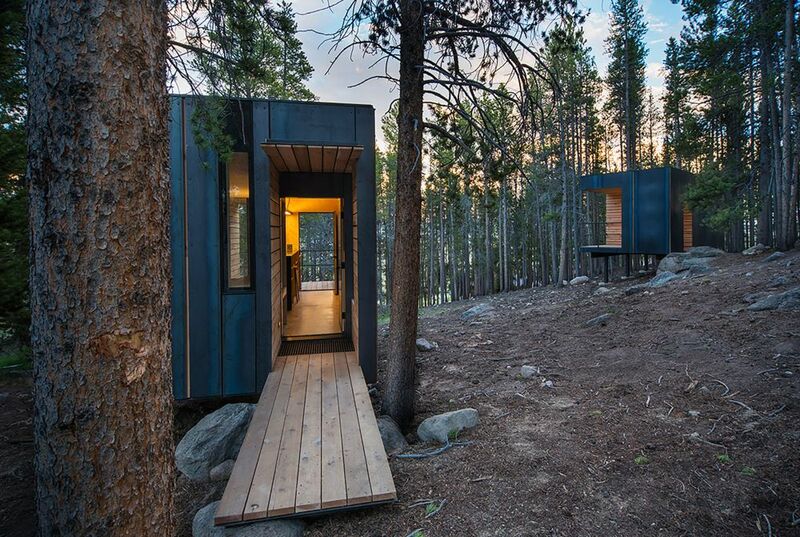 The COBS Year-Round Micro Cabins project was developed by students at the University of Colorado Denver. 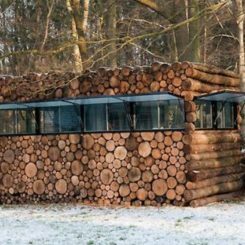 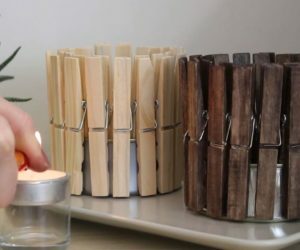 It consists of a series of rustic cabin-like structures or micro houses designed to be used all year round. 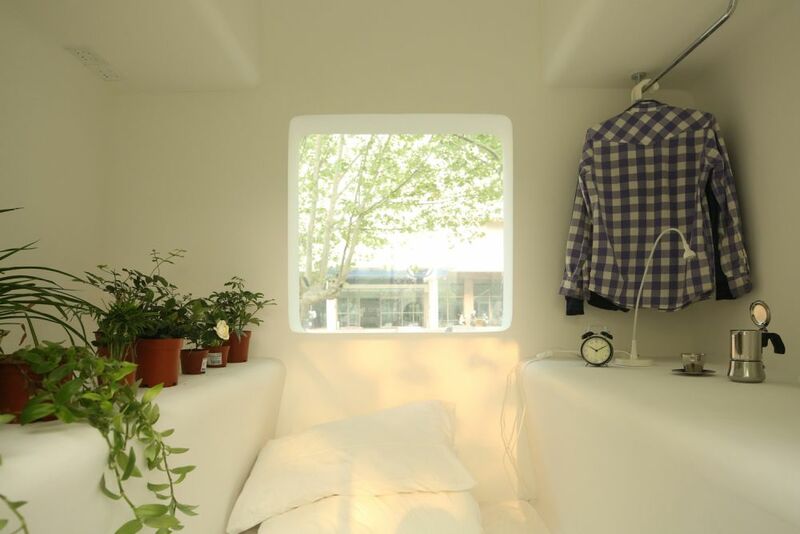 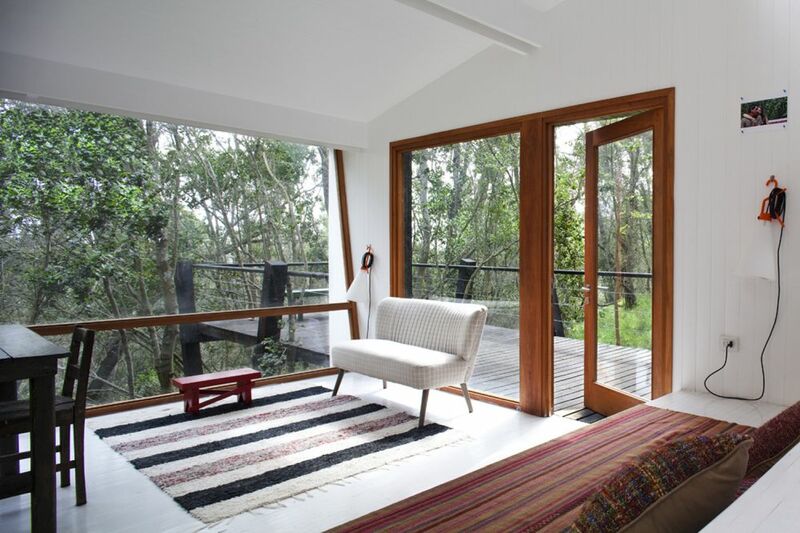 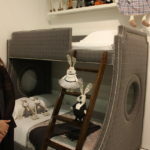 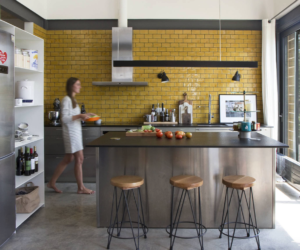 They have insulated walls and each offers 19 square meters of interior spaces plus a 9 sqm deck. 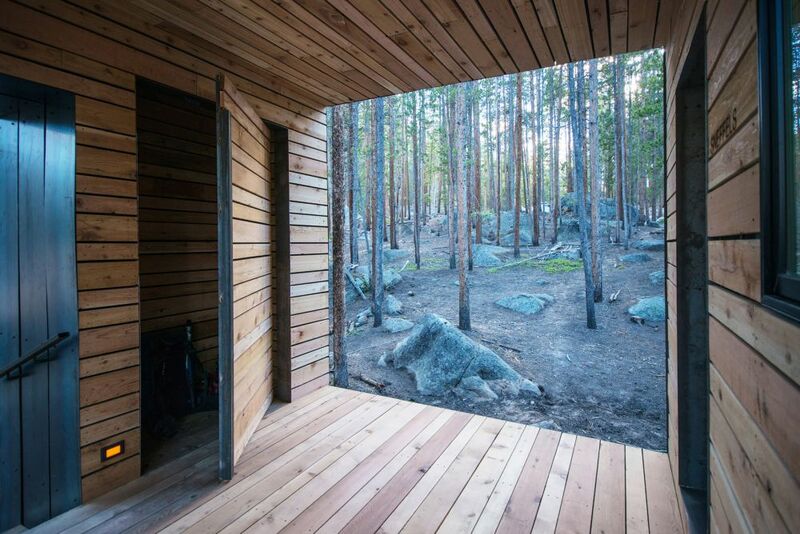 There are seven such dwellings and they’re located in a pine forest, accessible via a narrow dirt road. 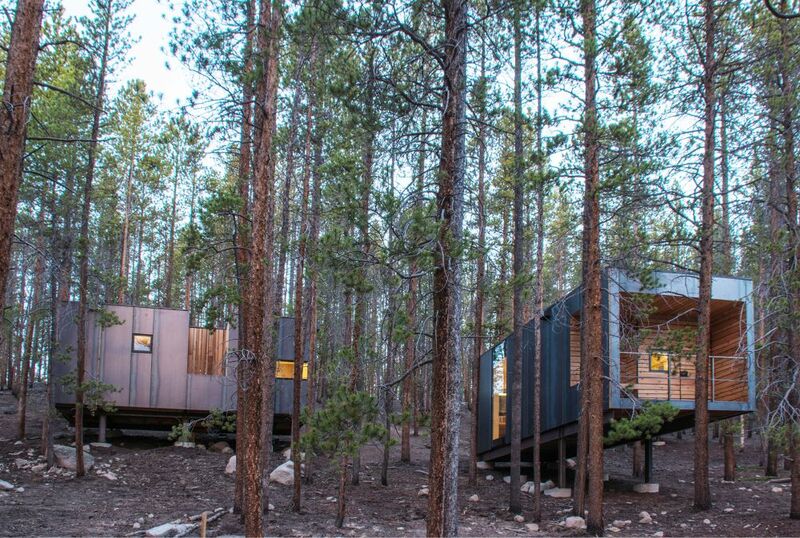 The remote location brought with it challenging topography conditions so each structure was custom-built in relation to these factors. 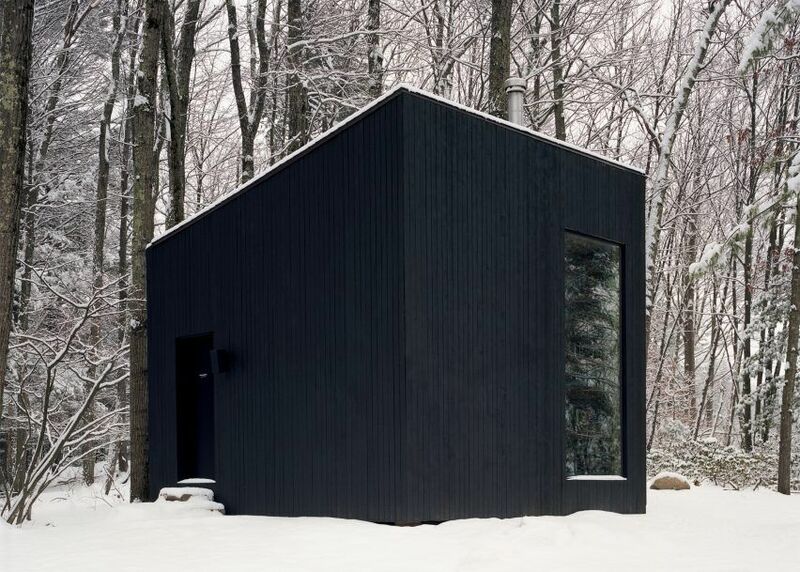 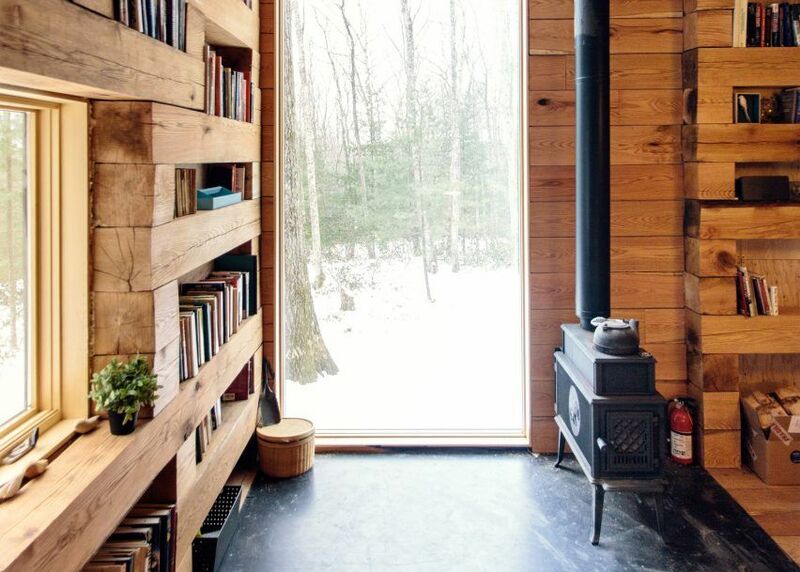 This compact black cabin hidden in the woods of upstate New York was designed by Studio Padron with the intention to serve as a cozy one-room library and potential overnight accommodation for guests. 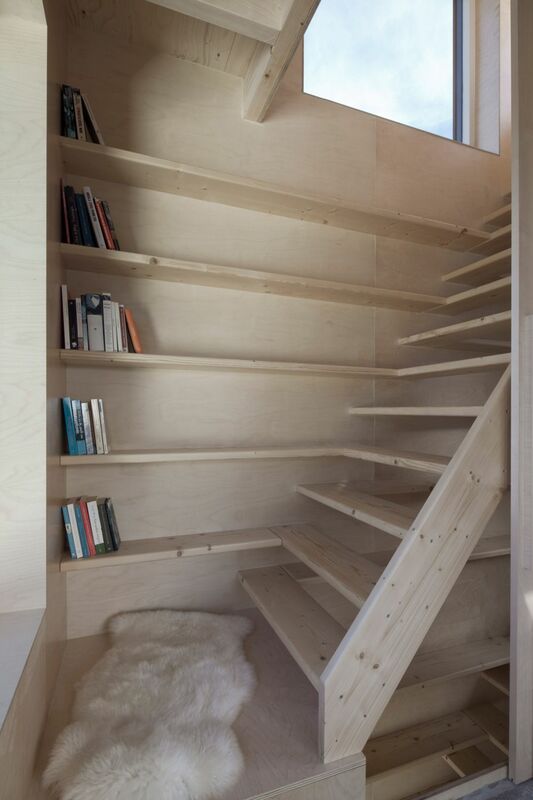 Inside there’s only room for a bed, an armchair and a small desk. 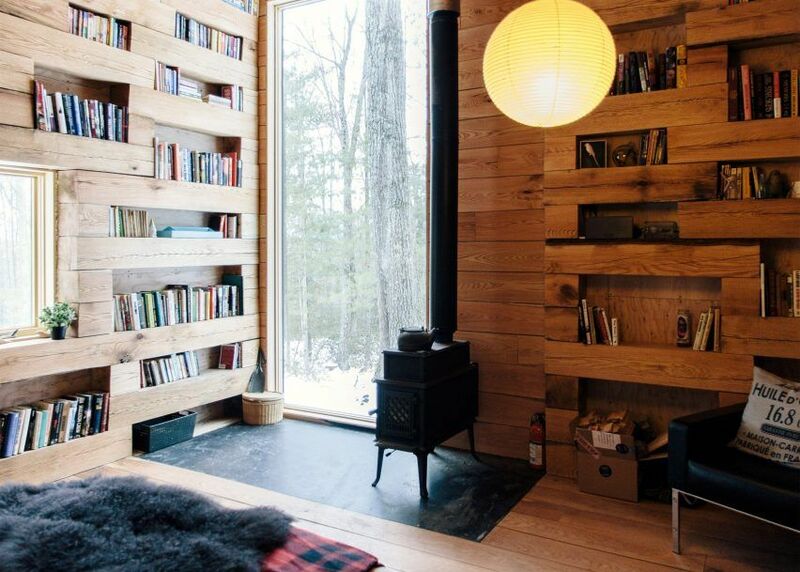 Bookshelves fill the walls and a wood-burning stove ensures a warm and cozy ambiance inside, allowing the cabin to be usable all year round. 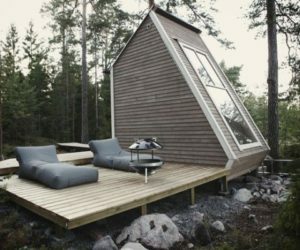 As soon as you lay eyes on this cabin you can tell that it’s special, that it hasn’t been built using the usual techniques. 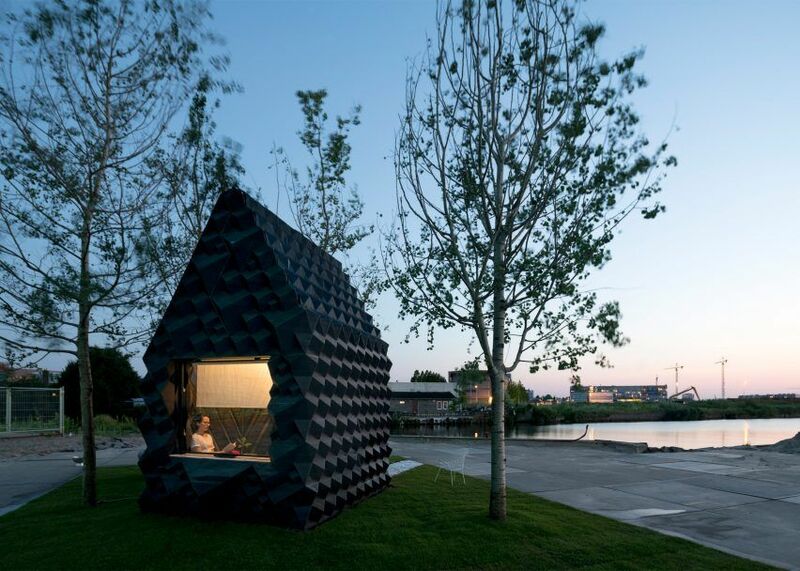 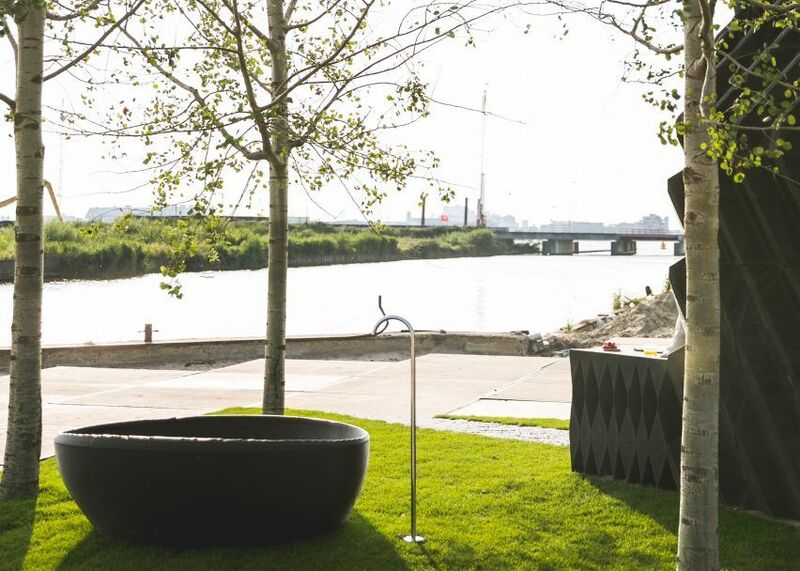 You’d be right assuming that because this is in fact a 3D printed cabin designed by studio DUS Architects. 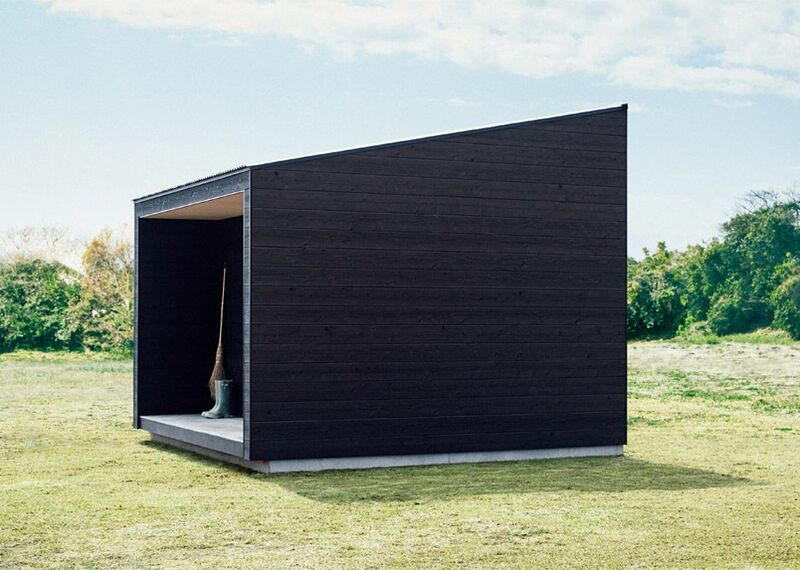 It’s meant to be multifunctional even though it only has an 8 square meter footprint. 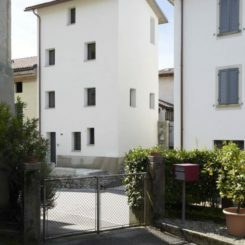 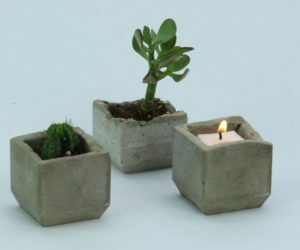 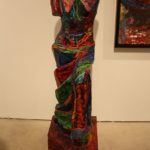 Its role was also to demonstrate how modern and unconventional building techniques can be useful for offering temporary housing or disaster relief. 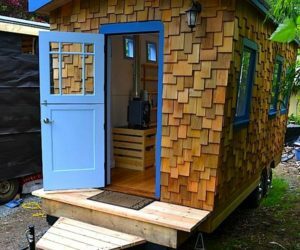 Micro houses usually find it easier to adapt to difficult site conditions compared to large residences and that gives them an advantage. 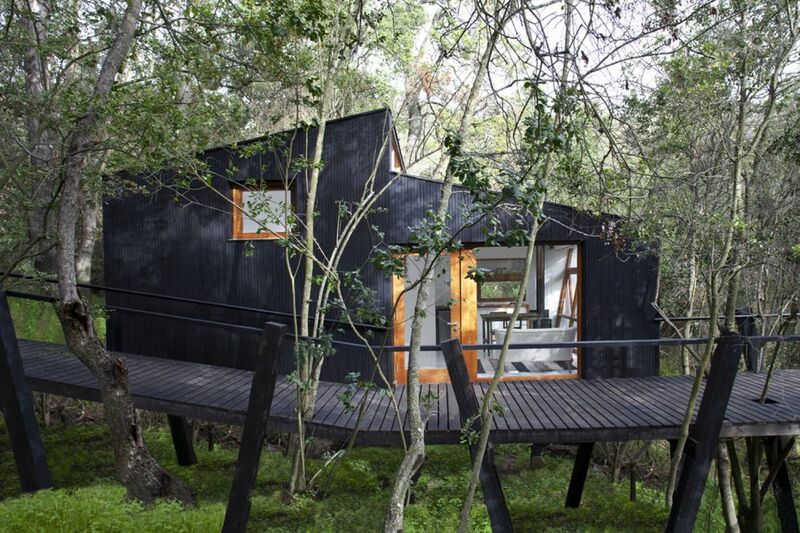 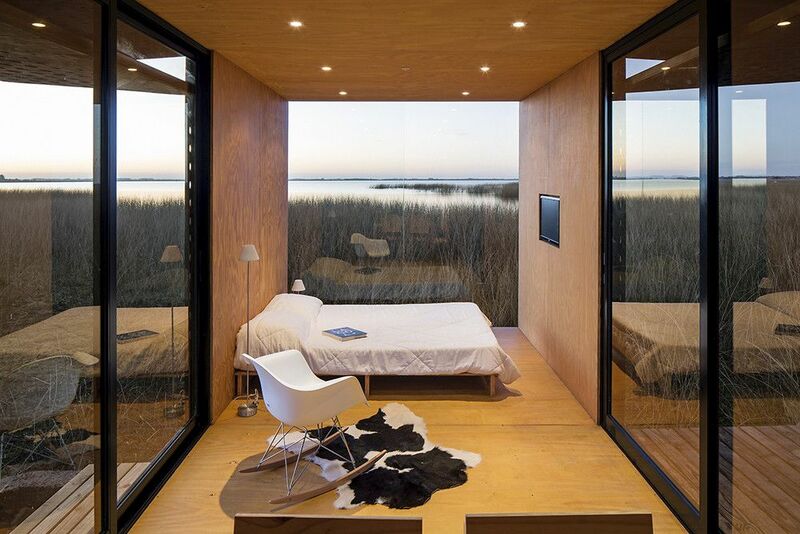 This little retreat from Curacaví, Chile is pretty interesting in this sense. 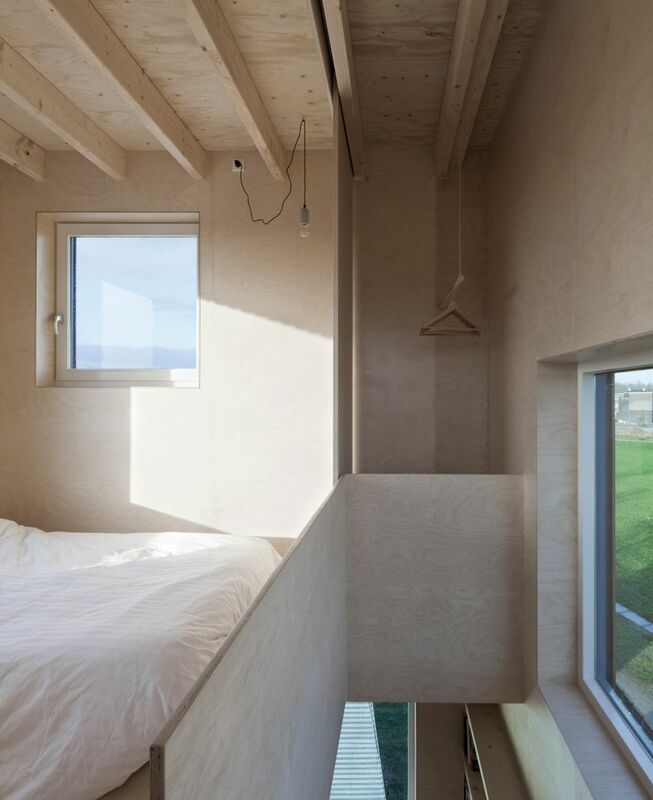 It was designed by studio UNarquitectura and it adapts to the slope on which it stands, being divided into two separate areas: private and public without an actual physical delineator. 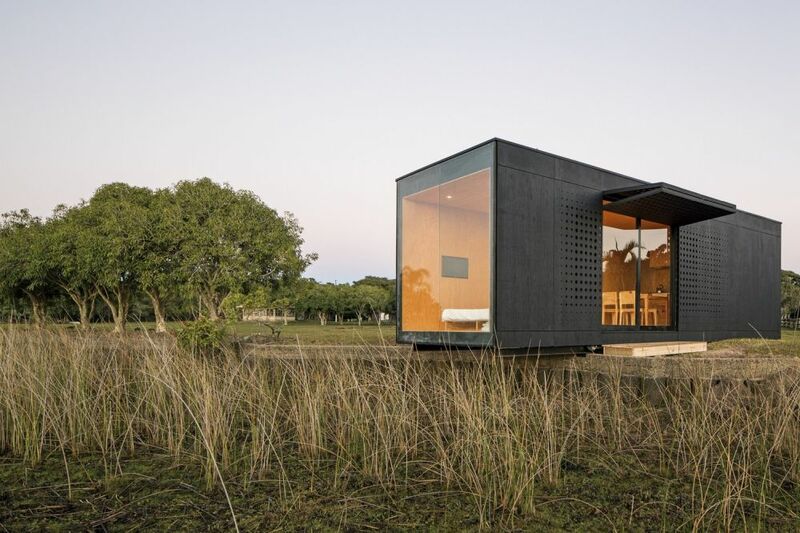 The Minimod is a cool and modern micro house designed by MAPA. 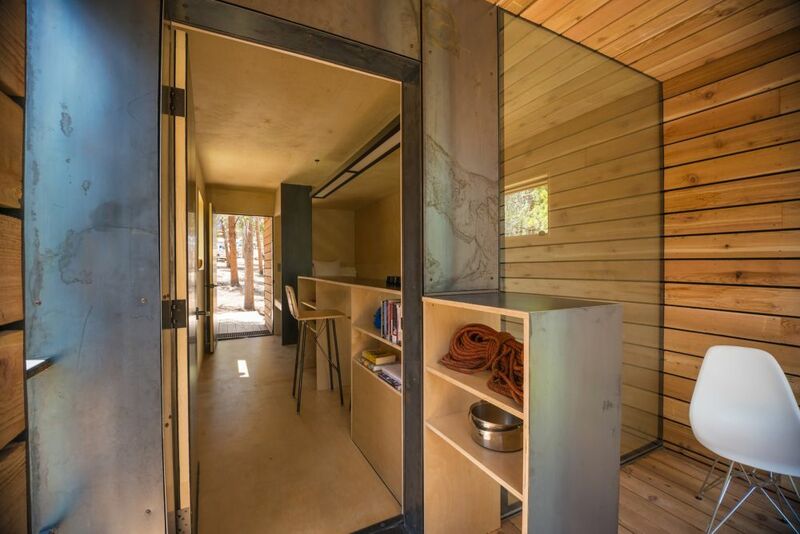 It’s 100% prefabricated and can be transported on site in one piece or can be disassembled and moved to a new location where it’s reassembled with ease. 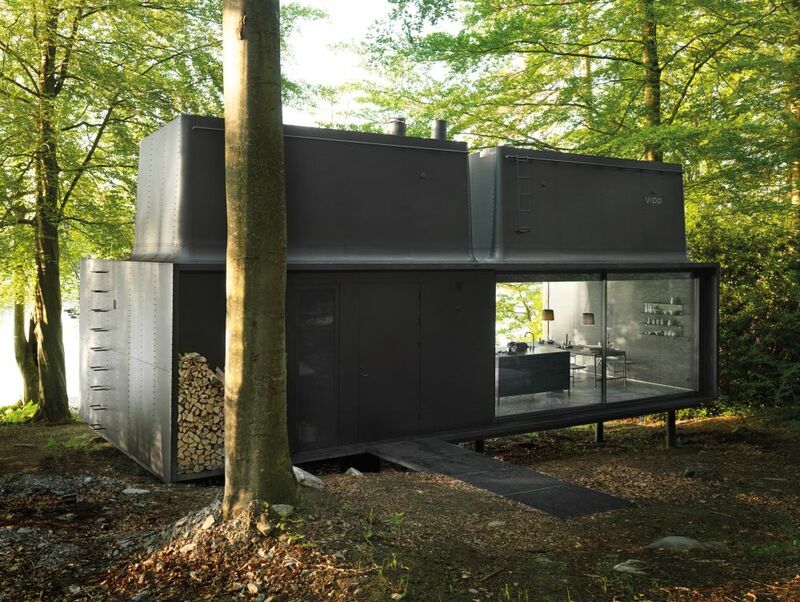 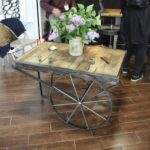 The module has a steel frame and can be customized in a variety of ways. 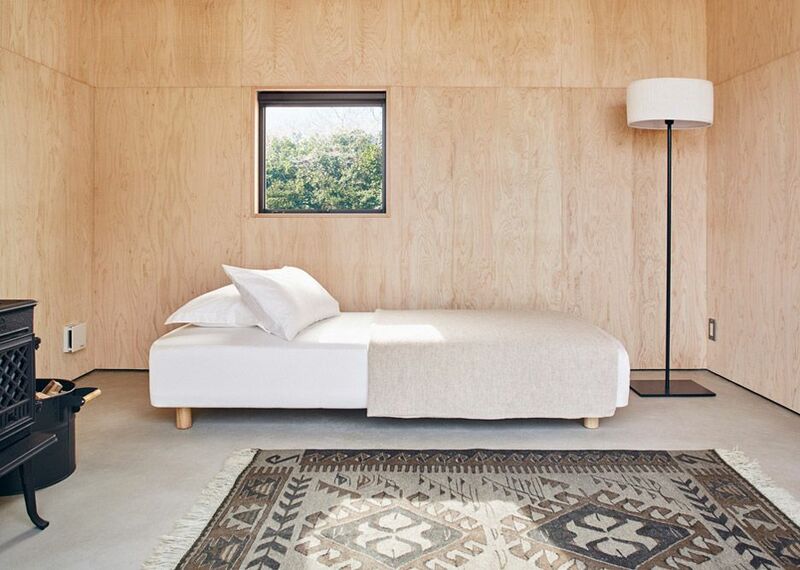 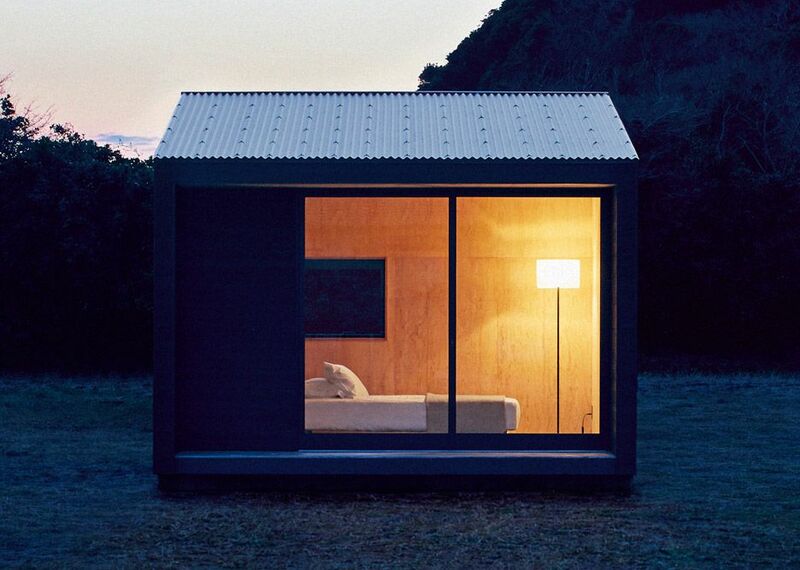 The Minimod can serve as a compact weekend retreat. 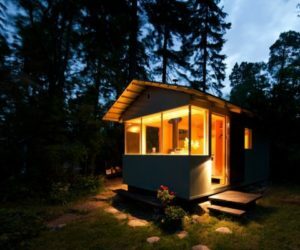 a remote cabin-like module or as an extension to the main house. 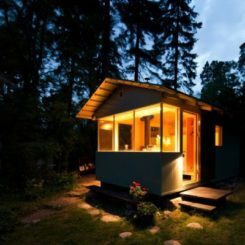 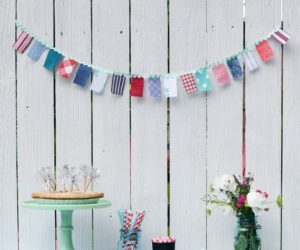 You could one into a backyard office or a guest house. 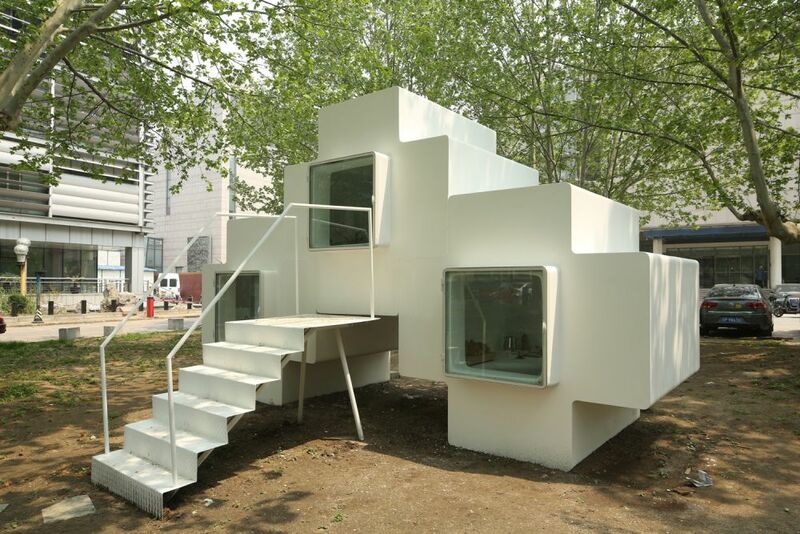 The Micro-house was designed by Studio Liu Lubin and has an unusual geometric shape which is meant to allow multiple such units to be stacked and combined to create larger structures. 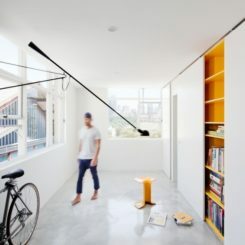 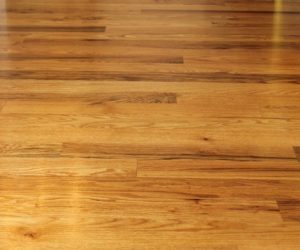 It’s lightweight yet strong and can serve a multitude of purposes which makes it versatile and practical in a variety of different scenarios. 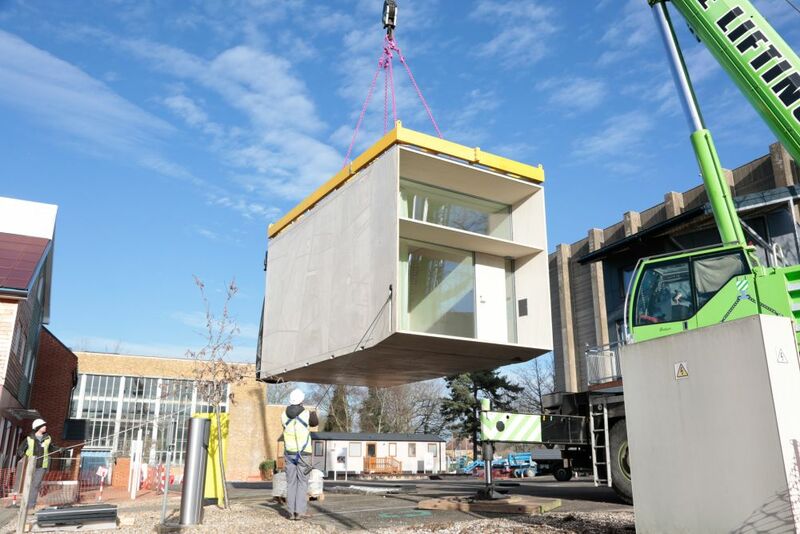 Once transported on site, the module can be assembled by hand. 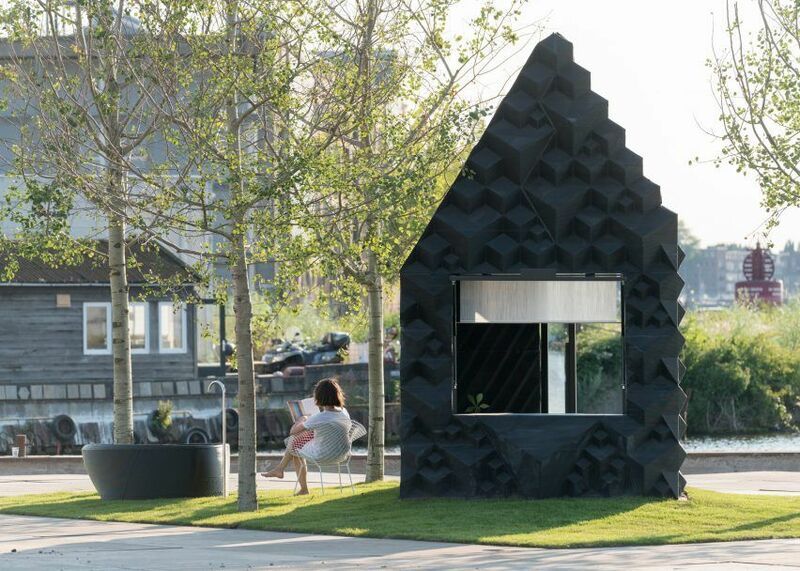 It can serve as a recreational retreat, a temporary home or a backyard extension and it also offers the option to create residential clusters which is a great way to take advantage of a vacant lot.